The variable condenser miniature microphone system consists of several active microphone capsules with different directional characteristics, an output stage, and numerous accessories. Currently there are seven active capsules available: omni diffuse-field equalized, omni free-field equalized, cardioid, wide-angle cardioid, cardioid with bass roll-off, hypercardioid, and figure-8. Through the modular construction of mic capsules and the output stage it is very easy to adapt the system to a wide range of applications. The mic becomes nearly invisible during work with cameras (film, video), on stage, or suspended from the ceiling in a concert hall. An active capsule can also be screwed directly onto the output stage. The result is a compact miniature microphone. The microphones are only 92 or 110 mm resp. long and 22 mm in diameter. They consist of the condenser capsule and the output stage. Both parts can be unscrewed from each other. The system offers several condenser capsules with different directional characteristics. Numerous accessories can be mounted between the capsules and the output stage. The capsules attach to cables, capsule extensions, swivel mounts, table stands, goose-necks, stereo mounts, and hangers. Therefore, it is very easy to adapt the system to a wide range of applications. The active capsule itself is only 35 or 47 mm resp. long. The KM 100 output stage and the active microphone capsule may be separated by up to 50 m of interconnecting cable. These cables are 3 mm in diameter, and therefore very inconspicuous. AK 30 is a diffuse-field equalized pressure transducer with a flat frequency response up to 10 kHz (in the diffuse field). In the free sound field this microphone has a boost of approximately 7 dB at 10 kHz. AK 31 is a free-field equalized pressure transducer with a flat frequency response up to 20 kHz (in the free field). In the diffuse sound field this microphone has a high frequency roll-off above 5 kHz. AK 40 is a pressure gradient transducer with cardioid characteristic. The frequency curves are very smooth and match 0° sound incidence. Sound from sources within a pickup angle of ± 135° is reproduced without any coloration. AK 43 is a pressure gradient transducer with wide-angle cardioid characteristic. Attenu- ation at 90° is 4 dB, at 135° it is 8 dB and at 180° it is 11 dB. The frequency response curves for sound sources within an angle of ± 90° are parallel up to 12 kHz. AK 45 is a pressure gradient transducer with cardioid characteristic, similar to the AK 40. However, it has an acoustic bass roll-off that is useful during applications when subsonic and low frequencies may cause difficulties. The AK 45 is optimized for a flat low frequency response at a recording distance of 15 cm (“speech cardioid”). AK 50 is a pressure gradient transducer with hypercardioid characteristic. Attenuation of sound incidence from the side or rear is about 10 dB, with minimum sensitivity at an angle of 120°. The KM 100 is phantom powered (48 V) and uses transformerless output circuitry. This has several advantages. It features high output capability and extremely low self noise. It provides exceptionally clean sound, free of any coloration. As with traditional transformers, this circuit approach ensures good common mode rejection. The balanced output signal is protected against interference. The construction is extremely compact. The entire microphone circuitry is on a single hybrid module measuring only 2 cm² in area. It is built into the microphone capsule, therefore the term “active capsules”. All sensitive components are protected within the capsule. As a result, the quality of the audio signal is never compromised through the use of accessories, for example, when the capsule is detached from the output stage and mounted on a cable or a gooseneck. Even with a long cable between active capsule and output stage, the signal is immune to external interference. The output stage has a 10 dB switch. Attenuation is achieved by reducing the capsule voltage to one third. When the switch is on, the microphone is capable of accepting sound pressure levels up to 150 dB without being overloaded. To diminish the number of connectors within the KM 100 System some accessories were modified. They can now be screwed directly onto the KM 100 output stage without using the KA 100 cable adapter. The new accessories which include the cable adapter, were renamed adding the suffix KA. For example: LC 3 is now LC 3 KA. The separate KA 100 cable, needed for older accessories, will be available also in future. The KM 100 output stage has a 3-pin XLR connector. The SBK 130 A sound diffraction sphere slips onto the front of the KM 130/KM 131 pressure microphones. The diaphragm becomes an integral part of the surface of the sphere. This affects the frequency response of the microphones. While sounds coming from the front-half space are emphasized by up to 2.5 dB between 2 kHz and 10 kHz, sounds arriving from the rear-half space are attenuated by a maximum of 2.5 dB in the range above 5 kHz. Since the sound diffraction sphere causes the pressure buildup of the KM 130/KM 131 pressure microphones to begin earlier, the frequency response rises smoothly in the middle and upper range. This is similar to a typical pressure gradient microphone, where the directivity increases with rising frequencies. However, since the KM 130/KM 131 are pressure microphones, they maintain a linear sensitivity down to the lowest frequencies. This changing directivity allows to record at a greater distance from the sound source, and makes the KM 130/KM 131 microphones especially suited as stereo main microphones in A-B configurations. By means of the AC 30 adapter cable two active capsules, AK 20 and e.g. AK 40 can be connected as MS stereo pair directly with the MTX 191 (A) matrix amplifier. The XY or MS signal is then available at the 5-pin XLR output connector of the MTX 191 (A), and the recording angle can be electrically remote controlled. The output stages KM 100 are then not required. The cardioid and hypercardioid microphones are also available as complete stereo sets, SKM 140 and SKM 150, including all accessories in a single jeweler's box. 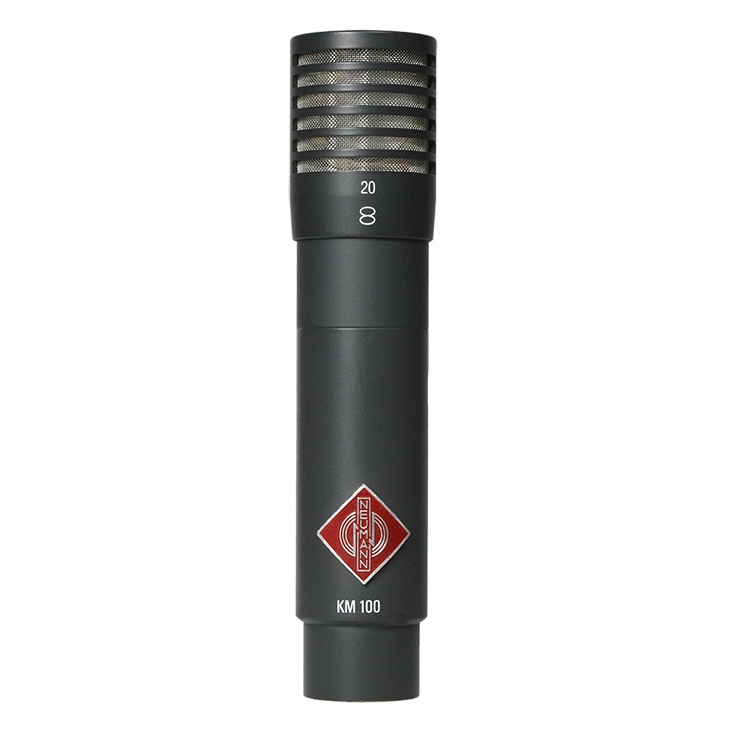 A further SKM 100-MS Stereo Set containing the microphones KM 120 und KM 140 is available. "Recording ""Hands of Time"" By Larry Pattis"